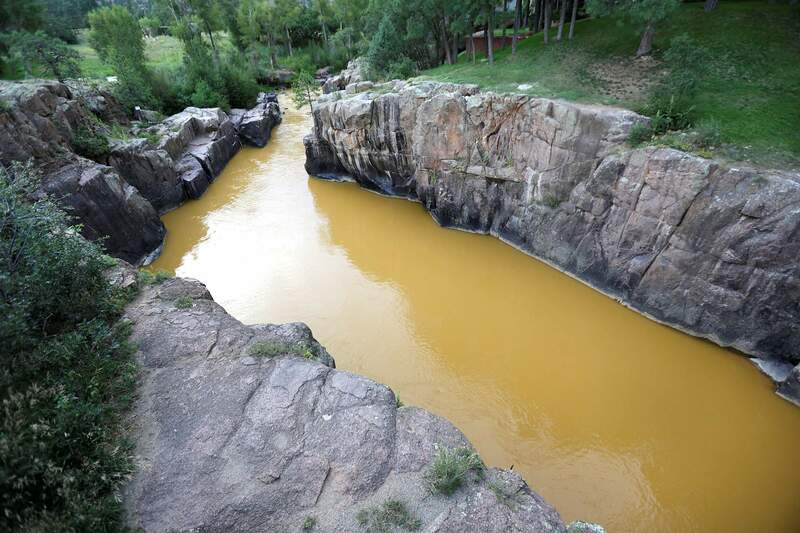 Jerry McBride/Durango Herald file photo The Animas River near Bakers Bridge on Aug. 7, 2015, showed little difference in color after contaminated wastewater from the Gold King Mine flooded it two days earlier. It is unlikely this spring’s runoff will dredge up the contaminated sediment and cause problems to water quality. The estimated 3 million gallons of orange sludge from the Gold King Mine moved through Durango in about three days, and it left behind a layer of heavy metals that drew concern for this spring’s runoff. But those concerns may not be warranted, some environmental experts say. “When you have more spring runoff, you have a lot more turbulence, so sediments can get remobilized,” said Peter Butler, a coordinator of the Animas River Stakeholders Group. Scott Roberts, an aquatic biologist with Mountain Studies Institute, said water samples from the Animas during storms in October show little sign of increased metal concentrations. The Environmental Protection Agency’s temporary water treatment plant can handle 900 to 1,200 gallons per minute. Currently, the facility treats only discharges from the Gold King Mine, which averages 525 gallons per minute. Mine discharges usually increase in the spring because of more ground water movement but are diluted in the runoff. The EPA said in a prepared statement it plans to monitor before, during and after spring runoff. In the meantime, state health officials are developing a notification stakeholder group to address how best to notify local governments and agencies if a spill occurs. Health officials added a second monitoring station on Cement Creek above the confluence with the Animas River. The department is coordinating with federal agencies on a long-term monitoring plan for the entire watershed. Still, state water experts say they don’t have a full picture of the impact the spring runoff might have.